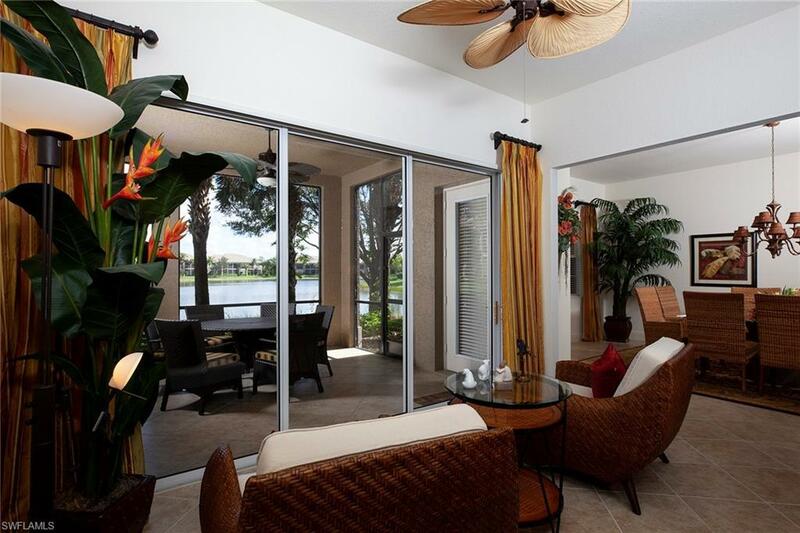 Truly a home of unsurpassed beauty, this lakefront residence affords maximum enjoyment of its tropical surroundings. With over 3,200 square feet of total enjoyment, this spacious, furnished, three-bedroom, three-bath home boasts a flawless design with extensive use of beautiful tile flooring in the main living areas and exquisite woodwork in the open kitchen with a gas range, granite countertops and bar seating. 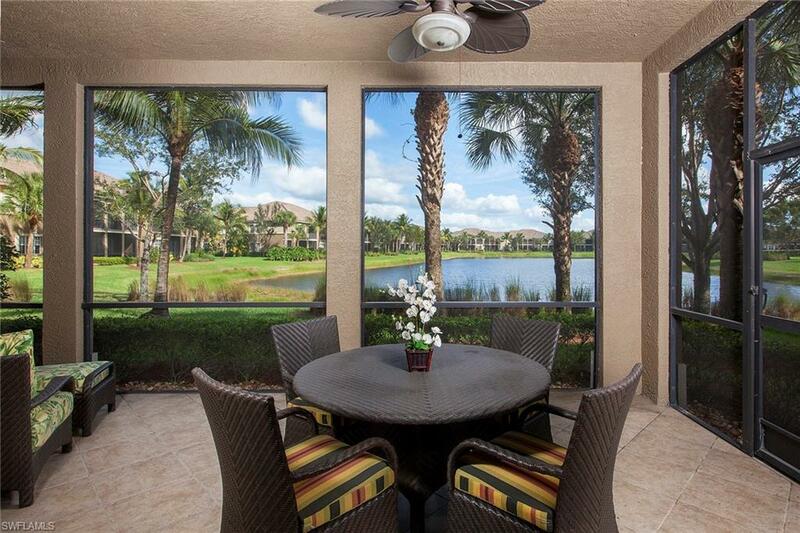 Comfort continues throughout with a grand master suite overlooking the long water views and access to the lanai area, a master bath with a soaking tub, dual sinks and a spacious tiled shower with a glass enclosure. 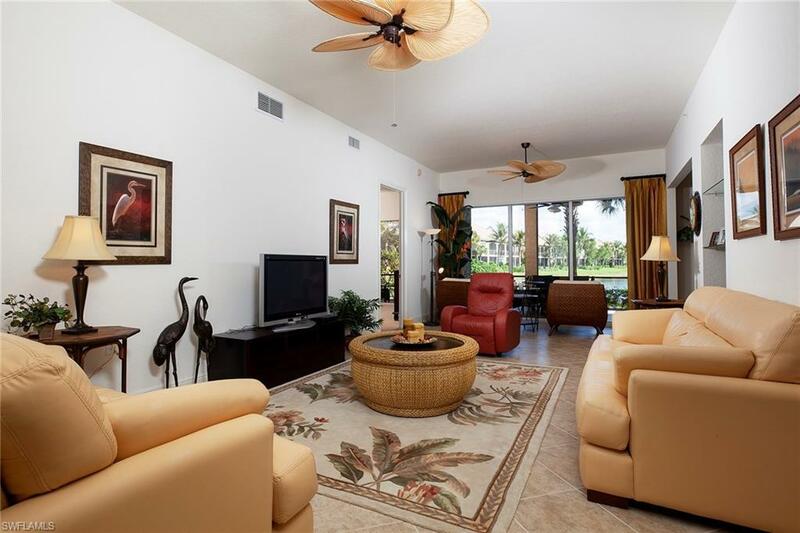 The tropical lush grounds are beautifully landscaped and the screened and tiled lanai makes a wonderful setting for taking in the surroundings. 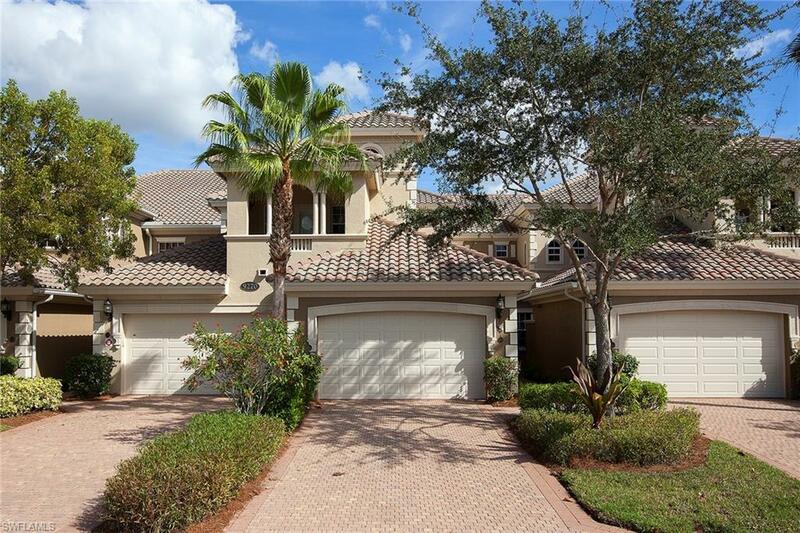 This home is located in the neighborhood of Varenna in Fiddler's Creek just minutes from downtown Naples and Marco Island. Residents enjoy access to an award-winning clubhouse, tennis, fitness facility, resort-style pools with slides and waterfalls, spa services, fine dining restaurant, a poolside bar and grill, various clubs and social activities. Optional golf, marina and beach memberships are also available.